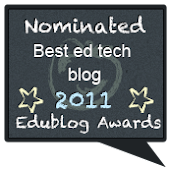 When I began teaching, I never realized how long I would actually remain in the field of education. As well as teaching, I have also been involved with translation and interpreting; however, when I had to make a choice regarding further professional and academic studies, education won without much hesitation. Having had to learn different languages throughout my life, knowing by experience how challenging it is to learn a language - not to mention all the implications of language learning (for example, what does it mean to be bi-cultural, the roles one takes up within different languages, the unfettered boundaries which language learning opens in one's world view) - I am unable to understand how mono-lingual people will still disregard language teachers, particularly those who have chosen to dedicate their lives to professional training and development within in the field. 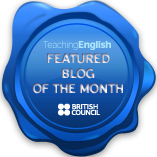 Too often I have come across the attitude that teachers are not "professionals' and that anyone can teach a language as long as they can speak it. More ironic to me is when I attend training sessions on language learning by a mono-lingual speaker - by the time I was 18 years old, I spoke 6 languages. Language learning is part of my identity. Languages are perhaps one of the most ungrateful things to learn in life. It takes years, if not a lifetime, to master a language; if one does not dedicate time and practice, a constant nourishing of a particular language, it will quietly slip into the dark corners of the mind, making it tantalizing but challenging, to re-capture again. As a language learner, my most immediate has always been words, words, words. Phrases and grammar would then slip slide into place, as long as I had words. Hence my focus on vocabulary today. Dictionaries obviously have their place in learning a language, but a thesaurus is an equally necessary and enriching tool to use. 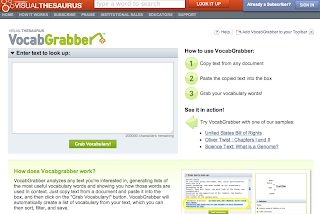 VocabGrabber helps generates lists of words and shows how they are used in a context. All you need to do is copy and paste a word in the box, then click "grab vocabulary" for the fun to begin. 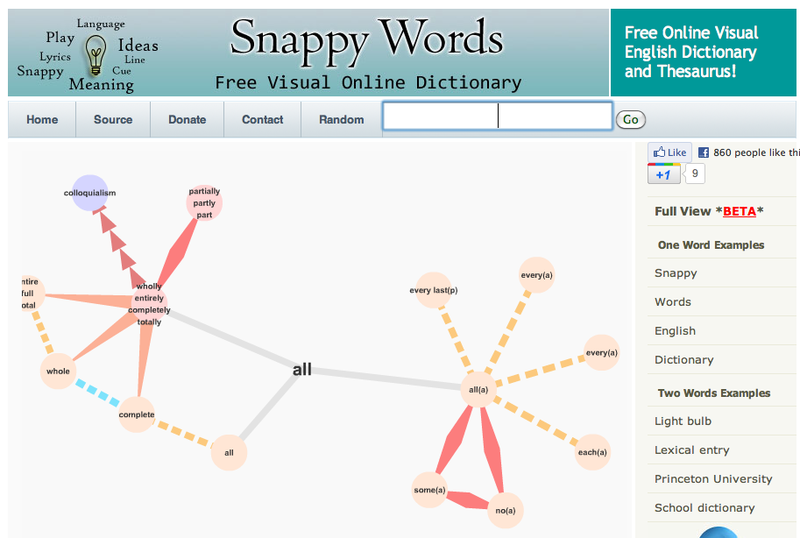 Visuwords and Snappy Words find meanings and their connections to other words. Both are great for learners to use either before a new theme or reading, as well as for revisions - especially to set during a self-learning time where each learner focuses on vocabulary they want/need, thus adding peronsalized learning in a very simple way. Two other thesauruses worth looking into are Memidex and Think Map. 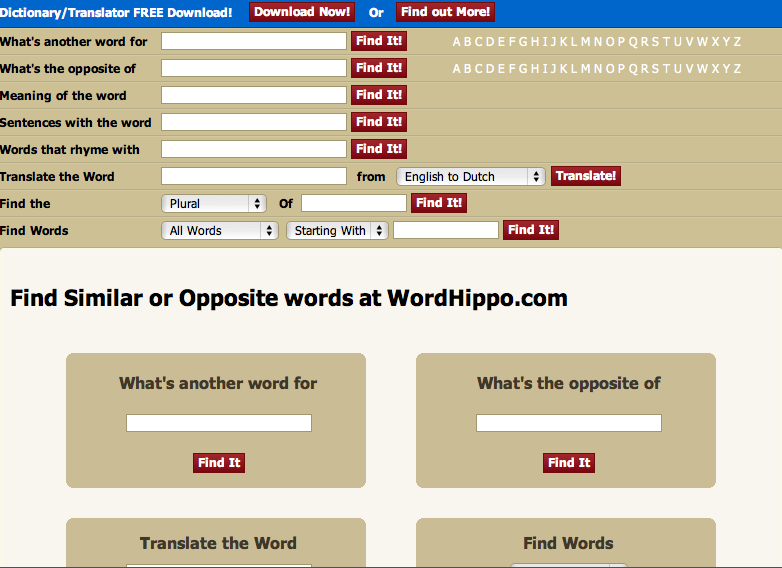 Word Hippo presents similar or opposite words in tidy little boxes, while Wordsmyth offers anagrams, crosswords, a quiz maker and a glossary maker in addition to its dictionary functions. 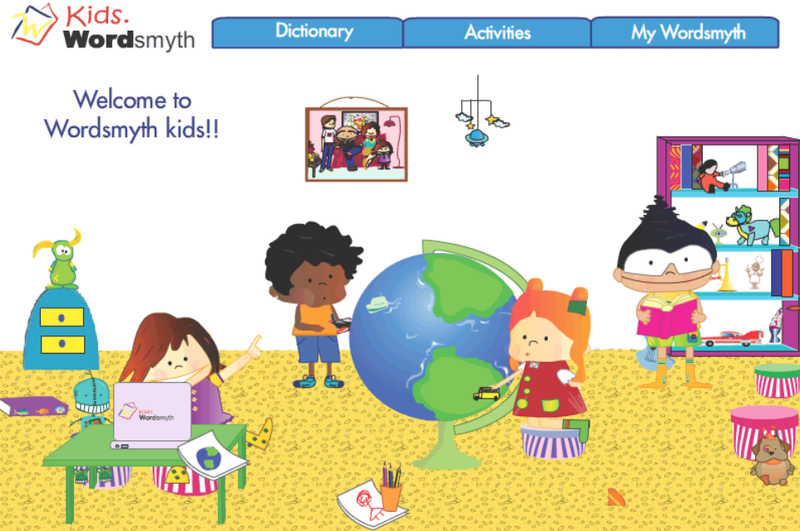 There is also a KidsWordsmyth and a video explaining how it works. 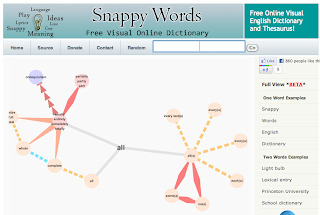 Graphwords creates visual graphs which you can then save and include in a blog or wiki. 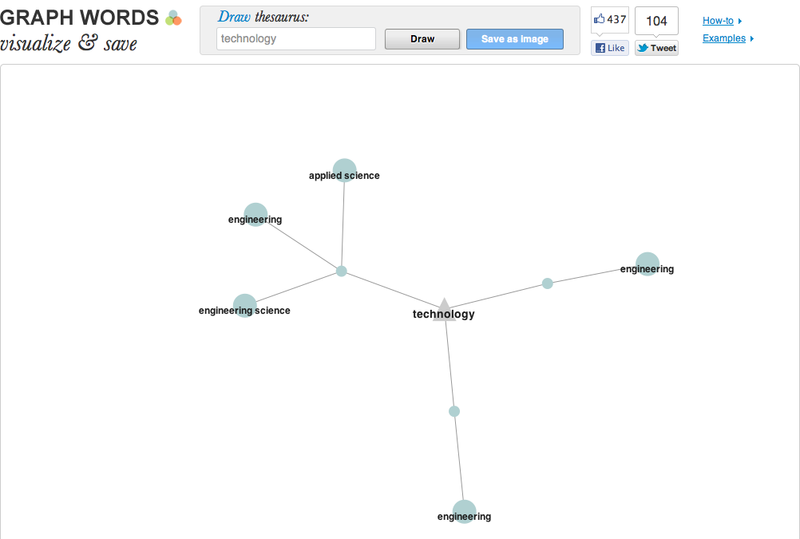 And now that a couple of thesauruses have been suggested, why not test all the new words with Vocabaret? Learning requires nourishing and attention. Learning. 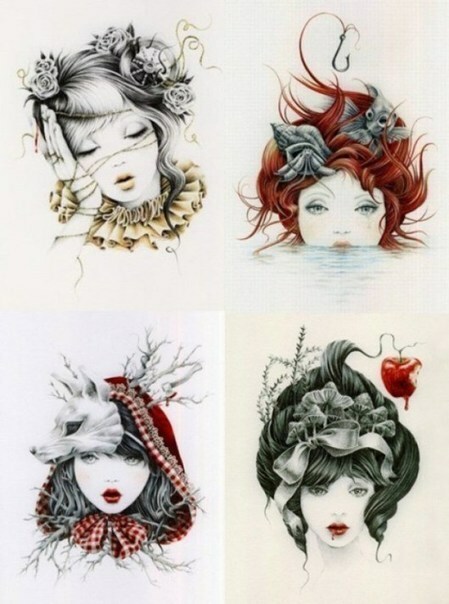 In a digital world, so much is possible - collaborating, personalizing, blending analogue and digital worlds to learn with pleasure and confidence. 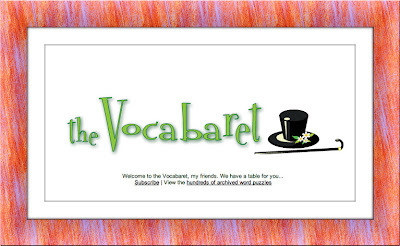 Here, here and here you can find other suggestions for learning words and activities for vocabulary. Here you can find a selection of games which also focus on vocabulary. What aspect of language learning do you find yourself wanting to learn first? 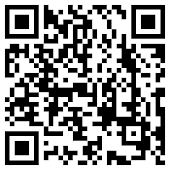 How Do I Communicate with Thee?